Blaithin Ennis 'Clove Cuff' is the perfect addition to the wardrobe. 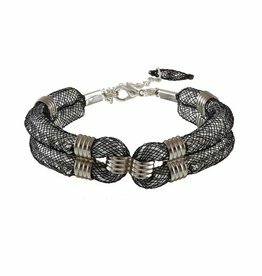 It is easy to wear and is made with a 3cm extension chain, for versatile adjustment on the arm or over a sleeve. Silver plated finishes and Czech crystal.